ifty-five journalists from 21 countries fled their homes due to violence, imprisonment, and death threats in the past year, according to a new report from the Committee to Protect Journalists. The annual survey, marking World Refugee Day on June 20, spotlights the plight of journalists who have been forced into exile from some of the world's most repressive nations and have received assistance from CPJ over the last 12 months. The top countries driving out journalists were Iran and Somalia, followed by Ethiopia, Syria, and Eritrea, among others. "Journalists all over the world are being forced from their homes to escape persecution, imprisonment and sometimes even death," said María Salazar Ferro, CPJ Journalist Assistance Program coordinator. "When journalists flee, their absence often weakens the besieged media community already struggling to provide insightful reporting about sensitive issues." Journalists assisted by CPJ consistently cited fear of violence as the top reason for fleeing. The most deadly country for journalists in 2012 was Syria, where at least 28 were killed for their work, according to CPJ research. Violence was also acute in Mexico, where reporters are faced with intimidation and death threats if they do not self-censor, and in East Africa, where CPJ supported 18 exiles fleeing since May 31, 2012. In Eritrea, Africa's worst jailer of journalists, many who fled had been unlawfully imprisoned without charge or trial. Journalists also face imprisonment in Iran, where authorities cracked down on freedom of speech ahead of elections. Those who do manage to escape violence, intimidation, and jail in their home countries do not necessarily find an easier life in exile. Many are unable to secure entry visas, and it can take up to two years to register for asylum. As refugees they are often stigmatized, and can face the very same threats they fled from in the first place. Even when journalists are able to successfully build a new life in a new country, they pay a psychological toll. Only about one-fifth of exiled journalists are able to resume work in their field. "Forced exile can wreck journalists' lives, as well as the lives of their families," Salazar Ferro said. To help journalists reach safe destinations, regain stability, and earn a living, CPJ's Journalist Assistance Program works with other organizations to optimize advocacy and logistical and financial support. The Committee to Protect Journalists says Ethiopia has detained a reporter for covering land evictions. The project which involves the construction of a huge hydroelectric dam had forced farmers and locals to relocate. Ethiopian journalist Muluken Tesfahun of the privately owned weekly newspaper Ethio-Mehedar was arrested while reporting on the return of thousands of farmers who had been forced from their land near the Grand Ethiopian Renaissance Dam. The government has admitted the March evictions were illegal, but so far no charges have been brought against the reporter. DW spoke to Mohammed Keita, Advocacy coordinator for sub-Saharan Africa at the Committee to Protect Journalists in New York. DW: What is known about journalist Muluken Tesfahun and the circumstances that led to his arrest? Mohammed Keita: Muluken Tesfahun had been sent by his newspaper to interview residents who had been forcefully evicted from their homes in mid-April. They were some allegations of violence and even unconfirmed reports of deaths. For months, the Ethiopian government maintained silence over the evictions until the Prime Minister in parliament finally condemned the evictions and invited the victims to return. Muluken had been sent to speak to people and collect their testimonies and also investigate their conditions, whether their return had been peaceful or not. In the midst of talking and interviewing people, he was arrested by police. He has been under police custody without charges and has not been taken to court which is a violation of his constitutional right. The Ethiopian constitution has set a limit of 48 hours for detention before being taken to a court. Do you know where he has been detained? He is currently being detained in Asosa, capital of the Benishangul-Gumuz region. He has been moved a couple of times, because he was actually arrested in a rural village while he was still speaking to farmers. These farmers had been forcefully displaced. To this day, local authorities have not given an explanation as to why these evictions were taking place. He is not the first journalist to be detained while working on this story is he? He is the first one that we have documented, there might have been others. Sometimes journalists do not report such things for fear of government reprisal. Why are the Ethiopian authorities so anxious to keep this story under wraps? This falls into a long standing pattern of the Ethiopian government suppressing any news that counters the official narrative and propaganda that is projected to the world. The Ethiopian government does not tolerate any criticism of any kind. It has been vindictive against journalists who have raised questions about its policies and sensitive topics like dam construction or human rights issues, political dissent or the conflict in the Ogaden. Many of these issues unfortunately are suppressed and we do not have enough information about these issues because reporters can not even carry out basic reporting on the ground. They are under surveillance, they are arrested as soon as they speak to people. Most people as well are afraid of speaking to reporters because they are harassed and persecuted for speaking truthfully to media. It's a very closed environment where independent voices are stifled and civil society has been guided by laws similar to those in Russia. The government dominates the media and the political space at such a level that it has a free range to project its narrative unchallenged. This newspaper (Muluken Tesfahun's) is one of the rare newspapers left. 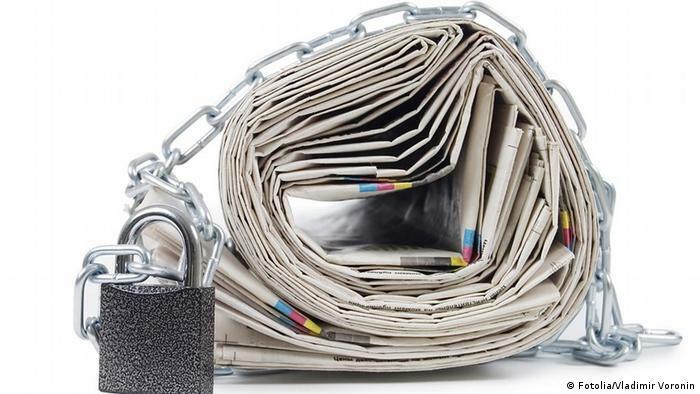 Over the last two decades, under the Ethiopian ruling party, at least 72 newspapers have been forced to shut under political pressure from the government. Is there any chance that things might improve anytime soon? Things are looking rather gloomy for press freedom in Ethiopia. The government has been on a repressive bent, especially since the contested elections in 2005. It has become increasingly authoritarian, it has been deepening ties with China's communist party CCP, it has been leading Africa in censoring the internet, and prisons are filled with journalists and dissidents. 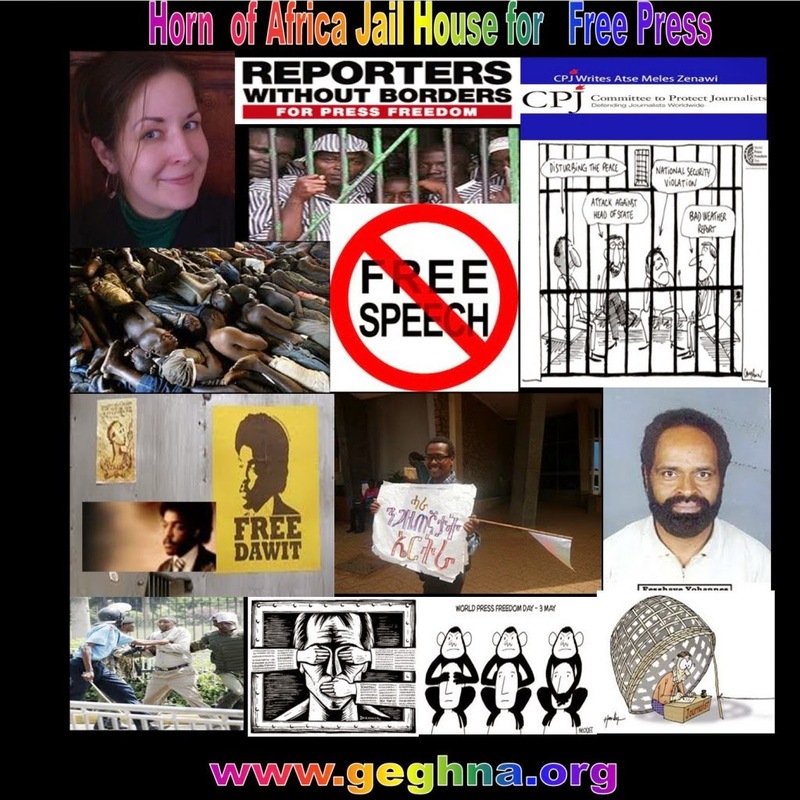 Ethiopia only trails Eritrea among leading jailers of journalists. But still the government is a donor darling and western partner in counter-terrorism. Western powers have basically continued to look the other way. Mohammed Keita is the Advocacy coordinator for sub-Saharan Africa at the Committee to Protect Journalists in New York.